Cuban revolutionary and its former president Fidel Castro died, age 90, on Friday November 26. Following are some facts about former Cuban leader Fidel Castro, and quotes from his friends and foes. * Fidel Castro led Cuba for five decades and was the world’s third longest-serving head of state, after Britain’s Queen Elizabeth and the King of Thailand. He temporarily ceded power to his brother Raul in July 2006 after undergoing intestinal surgery. The handover of power became official in 2008. * In his last years, Castro occasionally appeared in public and in videos and pictures usually meeting with guests. He wrote hundreds of columns for the official media. Stooped and walking with difficulty, Castro was seen in public twice in 2012 and twice in 2013. He was seen in public on Jan. 8, 2014, at the opening of a cultural centre, though photos of visiting dignitaries at the Castro home appeared after that. * Castro holds the record for the longest speech ever delivered to the United Nations: 4 hours and 29 minutes, on Sept. 26, 1960, according to the U.N. website. One of his longest speeches on record lasted 7 hours and 30 minutes on Feb. 24, 1998, after the national assembly re-elected him to a five-year term as president. 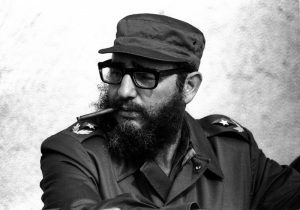 * Castro claimed he survived 634 attempts or plots to assassinate him, mainly masterminded by the Central Intelligence Agency and U.S.-based exile organizations. They may have included poison pills, a toxic cigar, exploding mollusks, and a chemically tainted diving suit. Another alleged plan involved giving him powder that would make his beard fall out and so undermine his popularity. * Despite the plots, a U.S.-backed exile invasion at the Bay of Pigs and five decades of economic sanctions, Castro outlasted nine U.S. presidents, from Dwight Eisenhower to Bill Clinton, stepping down while George W. Bush was in office. * Time Magazine in 2012 named Castro as one of the 100 most influential personalities of all time. * Castro had nine children from five women. His eldest son Fidel Castro Diaz-Balart, who is the image of his father and is known as Fidelito, is a Soviet-trained nuclear scientist born in 1949 out of his brief marriage to Mirta Diaz-Balart. Daughter Alina Fernandez, the result of an affair with a Havana socialite when Castro was underground in the 1950s, escaped from Cuba disguised as a tourist in 1993 and is a vocal critic. Castro has five sons with his common-law wife since the 1960s, Dalia Soto del Valle. He also has a son and a daughter born to two other women with whom he had affairs before coming to power. Fidel Castro, the Cuban revolutionary leader who built a communist state on the doorstep of the United States and for five decades defied U.S. efforts to topple him, has died, Cuban television said. He was 90. Here are some comments on Castro from his friends and foes over the years. “Castro is not just another Latin American dictator, a petty tyrant bent merely on personal power and gain. His ambitions extend far beyond his own shores.” – Former U.S. President John F. Kennedy, from “The Quotable Mr. Kennedy,” edited by Gerald C. Gardner, 1962. “Fidel, for me, is a grand master. A wise man should never die; a man like Fidel will never die, because he will always be part of the people.” – Former Venezuelan President Hugo Chavez, in a January 2007 speech. “Fidel Castro had Americans murdered illegally, and that was wrong, too. And I’m proud that we have a blockade against people who kill innocent Americans.” – Former U.S. President Bill Clinton, in 1996, after Cuba killed four U.S. citizens when it shot down two civilian planes belonging to a Cuban-American group that had agitated against the Castro government and had repeatedly flown into Cuban air space. “From its earliest days, the Cuban revolution has been a source of inspiration for all those who value freedom. We admire the sacrifices of the Cuban people in maintaining their independence and sovereignty in the face of the vicious imperialist and orchestrated campaign to destroy the awesome force of the Cuban revolution. Long live the Cuban Revolution! Long live comrade Fidel Castro!” – Former South African President Nelson Mandela, in a July 1991 speech. “I remember Herbert Matthews’ reports on Castro before he came to power, calling him a democrat and the hope of Cuba. And to some of you who are really too young to remember this, even people around our country were calling him the George Washington of Cuba, and George rolled over in his grave.” – U.S. President Ronald Reagan, on March 5, 1986. “Fidel Castro is there to win. His attitude in the face of defeat, even in the most minimal actions of everyday life, would seem to obey a private logic: he does not even admit it, and does not have a minute’s peace until he succeeds in inverting the terms and converting it into victory.” – Nobel laureate Gabriel Garcia Marquez, writing in Granma on the eve of Castro’s 80th birthday. “The best thing that Fidel Castro left us is the lesson that we don’t want any more Fidel Castros in Cuba. The lesson is that a man like that ends up absorbing the whole nation, ends up seeing himself as the embodiment of the homeland, and ends up simply taking away our nationality. The lesson of Fidel Castro is no more Fidel Castros. Some people admire him, but they admire him for what they think he was, not for who he really was. Staying in power that long is no merit.” – Dissident blogger Yoani Sanchez, to Reuters in May 2014. “Whatever we may think of him, he is going to be a great factor in the development of Cuba and very possibly in Latin American affairs generally. He seems to be sincere. He is either incredibly naive about communism or under communist discipline — my guess is the former, and as I have already implied his ideas as to how to run a government or an economy are less developed than those of almost any figure I have met in 50 countries.” – Richard Nixon, who was then the U.S. vice president, in a memorandum following a three-hour meeting with Castro on April 19, 1959. 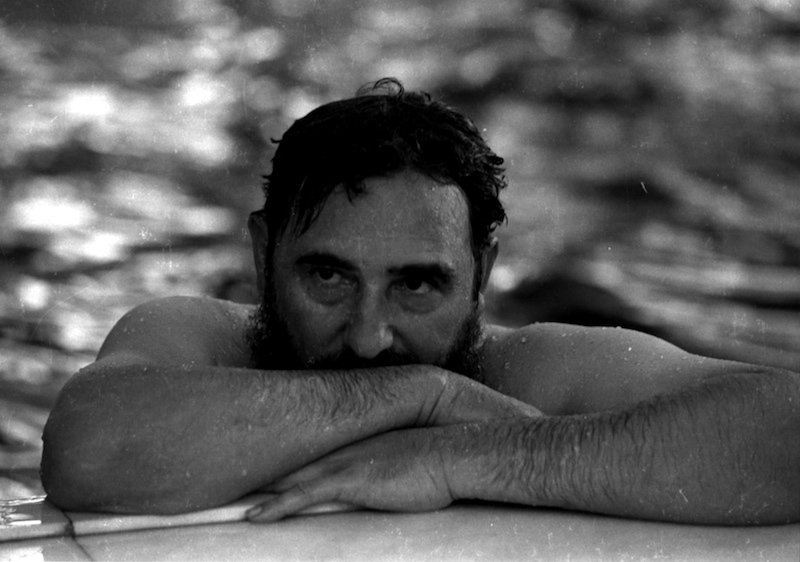 “On December 18, 1956, Fidel and I were in the foothills of the Sierra Maestra, in a place called Cinco Palmas. After our first hug his first question was: ‘How many rifles do you have?’ I answered five. And he said, ‘I have two. That makes seven. Now we can win the war.” – Raul Castro, quoted in the 2009 book “This is Fidel,” by Luis Baez. “It didn’t take much to prompt me to join any revolution against a tyrant, but Fidel struck me as an extraordinary man … He had exceptional faith that once we left for Cuba (from Mexico) we would arrive. That once we arrived we would fight. And once we fought we would win. I shared his optimism. I had to, to fight, to achieve. Stop crying and fight.” — Ernesto “Che” Guevara, in a letter to his parents, 1955. “A man of great charisma. He’s brave, Fidel Castro. A politician, with an iron fist. He stays strong. He put his close friend in front of the firing squad. I would have given him a life sentence or expelled him from the country, but he had him shot.” – Former Chilean military dictator General Augusto Pinochet, regarding Castro’s treatment of General Arnaldo Ochoa, executed for treason in July 1989. “He would tell us to place a canon here, move a tank over there. Where to attack, how to do it, with how many men, et cetera. He had it all at his fingertips. And most of the time he was right.” – Defense Minister Leopoldo Cintra Frias, regarding Fidel’s instructions in the Angola war, in Havana, 1996. “At a time when almost the entire communist world marches towards democracy, Fidel Castro has gone against public opinion and refuses to accept any kind of change or anything that suggests perestroika or democracy … A profound philosopher, he has made it clear that material things are transient, to such a degree that there are virtually no material things in Cuba.” – Cuban dissident writer Reinaldo Arenas, in an essay written before his death in 1990 and published by Spanish newspaper El Pais in 2006.